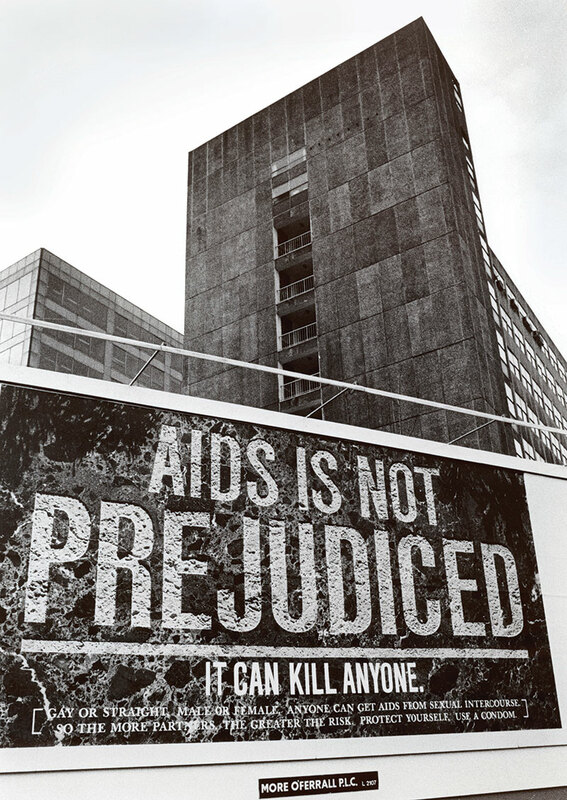 Stark warning: AIDS poster, UK, c.1980s. They never saw it coming. In January 1985 the Irish Haemophilia Society (IHS) carried out an HIV screening for 133 of its members. It was a precautionary measure, as a haemophiliac child had been admitted to the National Children’s Hospital with AIDS-like symptoms. Of the 133 members, 54 were found to be HIV positive. More tests were held and the infections reached 112 – a third of the society’s membership. We know the old phrase that ‘History is written by the winners’. In some cases, this is true. But when it comes to HIV/AIDS, a story which offers no winners, the historical narrative has been shaped by the affected group that shouted loudest. In Ireland, this was the gay community, as activist organisations like Gay Health Action played a prominent role in educating the public about HIV/AIDS. This is, however, only a small fraction of a much messier narrative. The story of Ireland’s haemophiliacs during the rise of HIV/AIDS in the 1980s is a chilling example of medical failure. The IHS, designed to act as a supportive forum for its isolated members, struggled to confront the deaths of more than a third of its total membership from HIV/AIDS, infections that were contracted through following the society’s advice. A cut to one’s body sets off a complex series of chemical reactions, ‘the coagulation cascade’, which causes the blood to clot at the site of an injury. It is an important process and the reason we do not bleed out because of a papercut. Haemophiliacs have a genetically impaired ability to form blood clots. This makes blood loss from any injury potentially serious and it produces a range of related conditions such as joint damage (hemarthrosis). To combat this condition, the Irish Blood Transfusion Service Board provided haemophiliacs with factor concentrates. These were imported vials of powdered formula that contained the protein compounds a haemophiliac could not produce naturally. This powdered formula was dissolved in water and then injected to ‘supplement’ a haemophiliac’s blood supply. With the concentrate, their blood could clot. Concentrates were hailed as a miracle cure in the 1970s and increased the average life expectancy of haemophiliacs by more than 20 years. The problem lay in how concentrates were produced. They were made by distilling vast quantities of donated plasma, which meant that concentrates exposed the average haemophiliac to material from tens of thousands of blood donors each year. Concentrate use brought a greater risk of infection from HIV/AIDS, as well as haemorrhagic fevers and Hepatitis C and B. The link between blood products and HIV/AIDS was first discussed by the American Center for Disease Control in July 1982. It was not mentioned in Ireland until May 1983, when an AIDS patient was being treated at St James’s Hospital in Dublin. The IHS wrote to Ian Temperley, the director of the Irish National Haemophilia Treatment Centre, to ask his advice about HIV/AIDS. Temperley replied later that summer and warned that the issue of HIV/AIDS should not ‘be used to make injudicious decisions’ on continued use of blood products. He attached a short article for their newsletter. Entitled AIDS: A Menace to Haemophiliacs?, the article argued that the connection between blood products and HIV was not established, while ‘the vast proportion of reported cases are among non-haemophiliacs’. It appeared in the society’s newsletter and the issue of HIV/AIDS was not mentioned again in society publications or meetings throughout 1983 and 1984. During these years, haemophiliac use of blood products actually increased. Medical failure to highlight the dangers of blood products was not unique to Ireland: the British Haemophilia Society distributed a similar article in its newsletter in 1983. Temperley, however, proved especially slow to change his advice in the face of mounting evidence. He had played an influential role in Irish policies around haemophilia. In 1982 he advocated the use of more imported concentrates when treating the condition and again was central to the decision over ‘the company to go with’, when the Irish Blood Transfusion Services Board picked a supplier. Once it became known that Irish Haemophiliacs had contracted HIV/AIDS through blood products, it was decided to ‘heat-treat’ the factor concentrates from January 1985, which deactivated any potential HIV in the product and made it safe to use. This brought Irish practices in line with broader anglophone norms, a precaution that had been delayed due to the cost associated with heat-treatment. There was still, however, the problem of what to do with the 112 HIV-positive haemophiliacs. AIDS provoked extreme reactions in this period, due to fears, later shown to be unfounded, that the condition could spread through casual contact. One haemophiliac attended hospital for a broken leg. When he told staff he had HIV they ‘burned his clothes, burned his crutches and sent him to St James’s [Hospital] in a sealed ambulance’. When people were deteriorating … we would approach them and ask if they would like us [the society] to make arrangements to bring them home … the toughest part of my job was laying out the children. It was just absolutely horrendous. I knew all the football strips of all the clubs that were popular at that time. The story of the IHS response to HIV/AIDS is that of a small and under-resourced group running from a challenge they never saw coming. Ireland, with its network of hospitals operated by the Catholic Church, retained an extensive voluntary infrastructure into the 1980s. When interviewed, Department of Health officials admitted that the best responses to AIDS arose from ‘the voluntary organisations’ and that the state should fund these groups rather than getting directly involved. Gay activists, already active in response to years of discrimination and popular stigma, could easily become vocal public advocates on AIDS issues in Ireland. Haemophiliacs emphasised how they were different from other AIDS patients, as ‘unlike them, we haven’t done anything to cause our condition’. In the end, the IHS’ response to the challenge of HIV/AIDS was to attend to each sick and dying member in turn. While incredibly noble and emotionally challenging for staff, this approach ultimately contributed to Irish haemophiliacs becoming the hidden victims of HIV in Ireland. David Kilgannon is a Wellcome Trust PhD researcher based in NUI Galway in Ireland.